Liz Cho has an update on the 2 dead after driver crashes through railing at New Rochelle park. 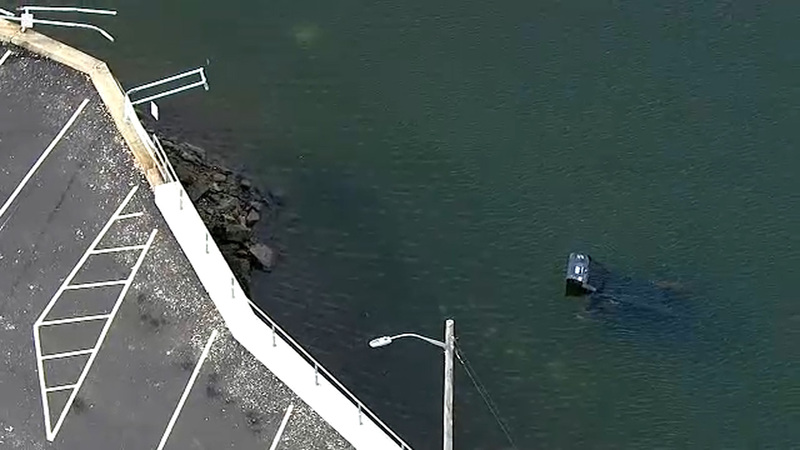 NEW ROCHELLE, Westchester County (WABC) -- Police have identified the two people who died after their car crashed through a steel railing and plunged into the Long Island Sound Tuesday. It happened just before 4 p.m. in Hudson Park in New Rochelle, Westchester County. New Rochelle police divers responded and pulled the driver from the submerged car. They say the man, 74-year-old Ralph Simpson, was unconscious and unresponsive and was rushed to the hospital, where he was pronounced dead. While recovering the vehicle, divers located the second victim, a female found dead amid the debris in the car. She was identified as the male victim's wife, 74-year-old Arlene Simpson. Authorities blamed a lack of visibility in the water and Arlene Simpson's location in the car, as well as the clutter, for preventing her discovery during the initial recovery.